High-performance backup power supply for mains failure. Energizes the elevator for a large number of trips and extended time enabling complete building evacuation.  System that supplies energy to the elevator in case of mains failure. More than a UPS because it keeps the elevator energized for a large number of trips to any floor making safe and complete evacuation of buildings possible. 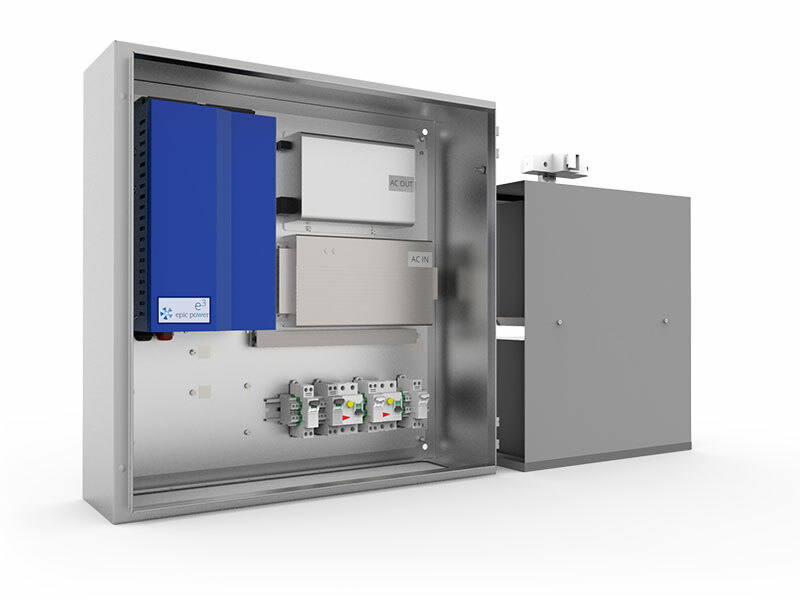 This high-performance auxiliary supply system keeps the elevator running for hundreds of trips without mains. The system keeps the control informed in every moment about the state-of-charge of the batteries. The installation is very simple, even for existing elevators with no additional cabling to floors. Simple connection and easy adaptation to any lift, even for modernization. 48 V battery pack for all models with a constrained size and easy and low-cost maintenance. Regenerative. Recovers the energy generated by the elevator and stores it in the batteries thus expanding the duration of the evacuation time. Alternative to traditional backup auxiliary systems. Suitable for new or existing elevators due its simple installation and adaptation. 230 Vac for control, brakes, door operators, etc. 48 V batteries, similar for all models. Low cost and low maintenance. The system provides information to the controller about state-of-charge during the complete evacuation process.